SamMobile has gotten its hands on some pictures of the Galaxy Tab S 10.5, which is yet another Samsung tablet for us to keep up with (please don't hurt me if I accidentally type Samsung Galaxy Tab Pro S 7.7 one day - I'm really trying here). What makes this one special is its screen, as it is expected to ship with a 2560×1600 AMOLED display. The device will reportedly come in two sizes, 8.4 and 10.5 inches. As you can see in the photo below, it doesn't look all that different from from the Note and Tab Pro line of tablets. 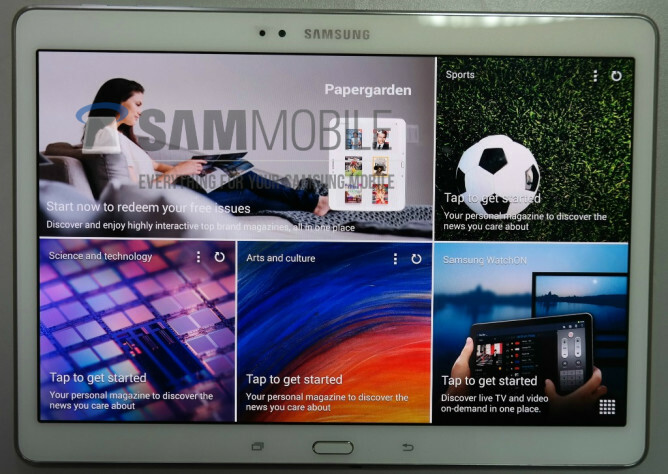 The specs of the Galaxy Tab S include 2560×1600 displays, an octa-core Exynos 5420 CPU with four 1.9GHz Cortex-A15 cores and four 1.3GHz Cortex-A7 cores, 8-megapixel rear camera, 2.1-megapixel front-facing camera, Wi-Fi a/b/g/n/ac, Bluetooth 4.0 LE, GPS/GLONASS, and LTE connectivity, an IR blaster, and Android 4.4 KitKat. 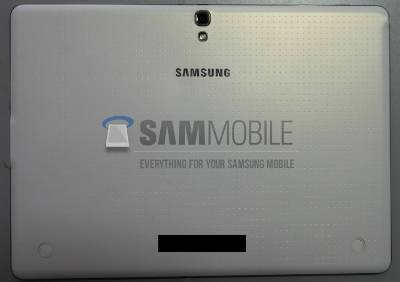 The Galaxy Tab S has a perforated back akin to that of the Galaxy S5, and there's a chance Samsung will release a book cover case to go along with it. For more information, hit up the source link below.